This is a sensitive time for the resurgence of the EV Gray electric motor, so for the purposes of safety and anonymity, no names or locations are in this document to protect the principals. This file will be updated or cross linked with additional information as it becomes available. Feel free to copy, reprint, mirror or otherwise use these documents or information as you will, the more people who know about it, the better. Right click on any photo on this page and select 'view image' to see the full picture. For years, those of us in the alternative science community have heard rumors about the death of Ed Gray. No one has come forward to my knowledge providing any insight into the truth of what actually happened. Recently, a friend and associate was fortunate enough to meet one of the principals involved with EV Gray during his experimental period. We took some initial notes and were graciously allowed to handle and photograph two of the missing EV Gray motors of the six that were built. both from the archives of the (now defunct) KeelyNet BBS, to get a handle on the history of the EV Gray motor. This way you can understand our reservations at this point as to giving out names and places. The people involved want the alternative science public to know that the motors have all been located and are being acquired for rebuilding and testing. 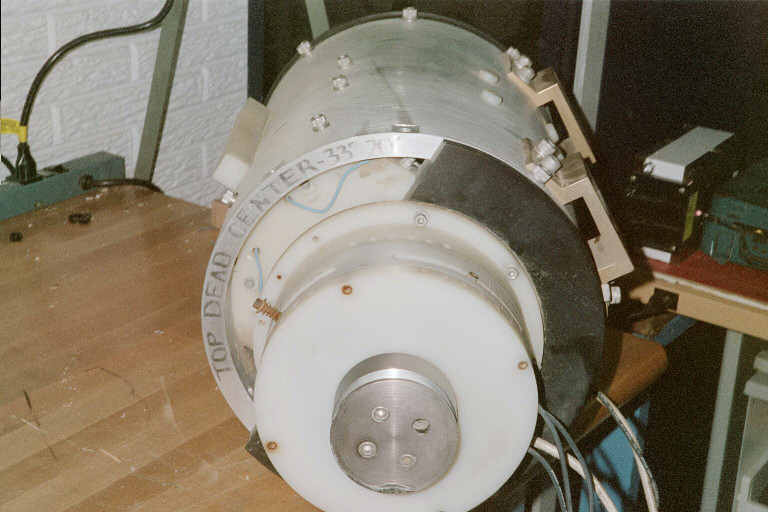 Our contact was heavily involved with the late EV Gray and has not only the original machined Teflon motor but one of the five prototypes which we were astounded to learn had been built in ARLINGTON (between Dallas and Fort Worth) when EV Gray LIVED IN ARLINGTON for about 3 years from 1986 to 1989! The motors were then scattered across the country after Ed Grays untimely death. The truth about Ed Gray is that he died in April 1993 in a trailer in Riverside, California where he lived with his girlfriend Dorothy. About 2AM, Ed was home alone when something happened and he was later found dead. The police told her he had a heart attack. Our contact, being a close friend of Ed, was called by Dorothy after the body had been removed by the Riverside police. Although the police said it was a heart attack, our contact noticed a blood stain about 3-5" in diameter on the carpet where Ed's body had lain until Dorothy discovered it. Ed was 'healthy as a horse' despite being a big guy, though he did have a smokers hack because he smoked one cigarette after another, but he had no history of heart problems to our contacts knowledge. When our contact asked the policeman why there was a blood stain where Ed had apparently fallen, the policeman said he 'probably' struck his head on a counter and blood came from his mouth. When our contact questioned the detective at the police stationhouse, he was told Gray was very paranoid because he had bilked many investors out of large sums of money and so was always afraid someone would come after him. The detective said a drunken woman had mistook Ed's trailer for her own and it was she who pounded on the door at 2AM which scared Ed so badly that he had a heart attack and died. Yet a 3rd story given by another policemen was that Ed opened the door at 2AM and this drunk woman shot Ed thinking it was her philandering husband. Our contact says this is a 'load of crap', confirming that Gray was a big burly man with no history of any heart condition, that he chain smoked and had a smokers hack, but nothing else, was strong as a horse and afraid of nothing. Since he died alone, by law there had to be an autopsy, yet when our contact tried to get a copy of that autopsy report as a public record, no record could be found that one had been done. It is possible that one was not ordered, however, on further investigation, our contact says he found no records that an Ed Gray ever lived in Riverside, Van Nuys or in Council, Idaho, all have disappeared. At one period prior to the actual building of the five production motors from 1986 to 1989, our contact told us that Gray had lived with his sister and her minister husband Reverend Dearing in California, where he was supported by doing work for the church. The story is very fascinating and our contact told us two other principles who were deeply involved with Ed Gray had also died under mysterious circumstances and that it was after Ed's death when all the mystery started and the motors disappeared. Turns out these two motors were outside a building, subjected to rain and weather, so are not ready for testing. The capacitors used in the capacitor banks have been long ago removed or damaged and are being restored. Ed's first wife was Evelyn, mother of sons Mark and Eddie. Our contact was best man at Ed Grays' wedding with his second wife Star in Council, Idaho. Ed and Star then moved to Arlington, Texas where he built the five production prototypes. The company involved with the patents is EVGray Enterprises, Zetech and Western States. Western is an oil drilling company which owns the rights to the Gray patents. A bizarre claim arose a couple of years ago, where some character was claiming he was a contact for Ed Gray, that Gray had NOT died of a heart attack around midnight at a warehouse in Nevada when he went outside to investigate a noise, according to the rumor we'd heard, but that he had 'gone underground' and was glad everyone thought he was dead so he could freely carry on his research. Instead, our contact confirms absolutely that he was one of the pallbearers at Grays funeral in California in April, 1993. He has suspicions who this guy is and that the guy has been promoting Gray's work as his own for financial scams. The location of all the 6 existing motors are known as well as one which is mounted in a 6 cylinder automobile with a clutch and transmission which our contact says makes a 'popping' sound when it is running. Ed Gray's original teflon motor has 7 high voltage spark plug cables and one common ground. 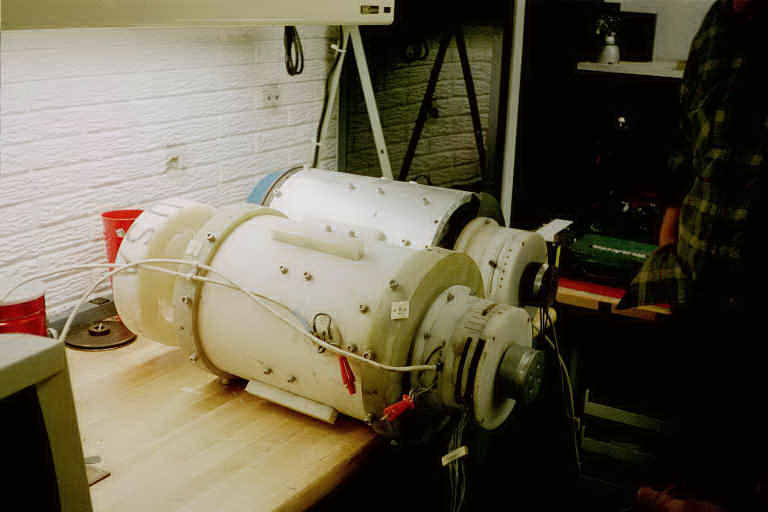 The teflon motor and one of the production motors is shown on the bench below. 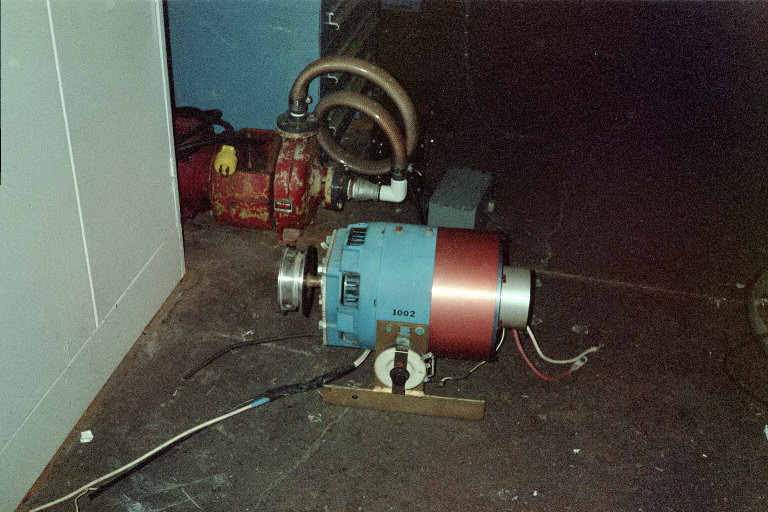 The motor under test was fed sequentially by banks of 3 capacitors that were charged up with a high power motor/generator (the blue and copper unit on the floor below), though our contact says in at least one test that he witnessed, they had what appeared to be an overunity demonstration that ran continuously from batteries for 12 hours. The battery power was measured before the test with the batteries maintaining full charge from the output of the generator and ending up with more power than they had when the test started...ergo; overunity. According to our contact, the FBI and others suppressed anything they could that had to do with the Gray motor since if it was truly overunity and was put into practical use, it would detrimentally impact energy producers all over the world if anyone can make what they need with an overunity device. He also says there is one particular guy who gathered lots of investor money for Gray, with as much as 60 million being placed offshore. Gray was born around 1930 and worked for NASA as a mechanic where he met Dr. Alexei Popov and they became friends. Popov helped Gray with his idea while Gray worked there and they remained friends after Gray left. Probably the coolest thing we saw was the original demonstration device of a large coil, about 13" diameter and 2" wide with carpet on the top. 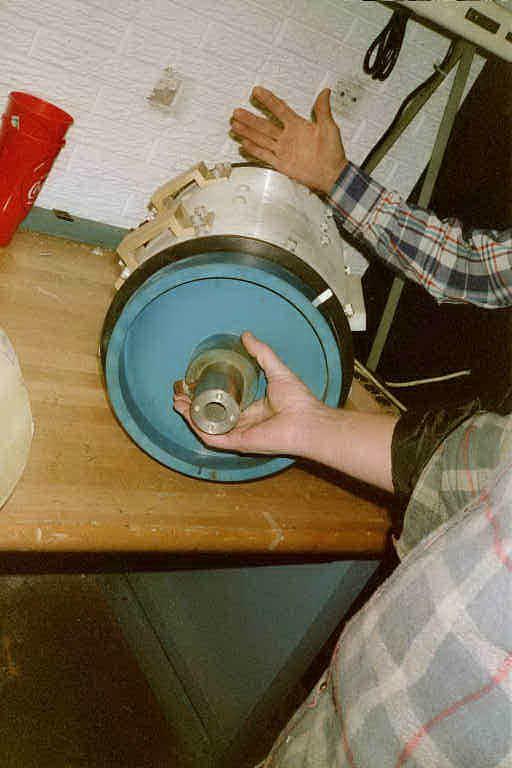 There is an aluminum disc of the same diameter but only about 1/4" thick with a center coil having a diameter of about 6" and 2-3" high. This is supposed to be a larger version of the demo that so amazed Tom Valentine in the article he wrote about Ed Gray. We are told this large version was the one built by Popov so that Gray could demonstrate the basic power of the high voltage coil repulsion. 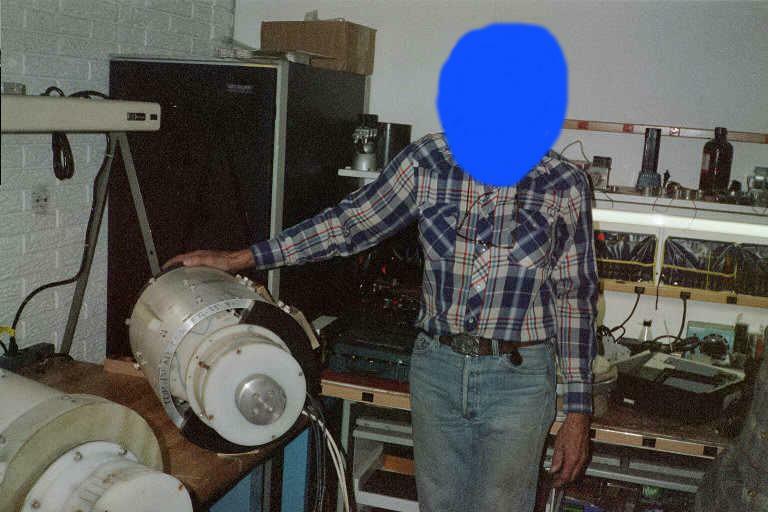 The Tom Valentine story said a magnet was placed on top of a high voltage coil which was connected to a switch, then to a 3,000 vdc photoflash capacitor. 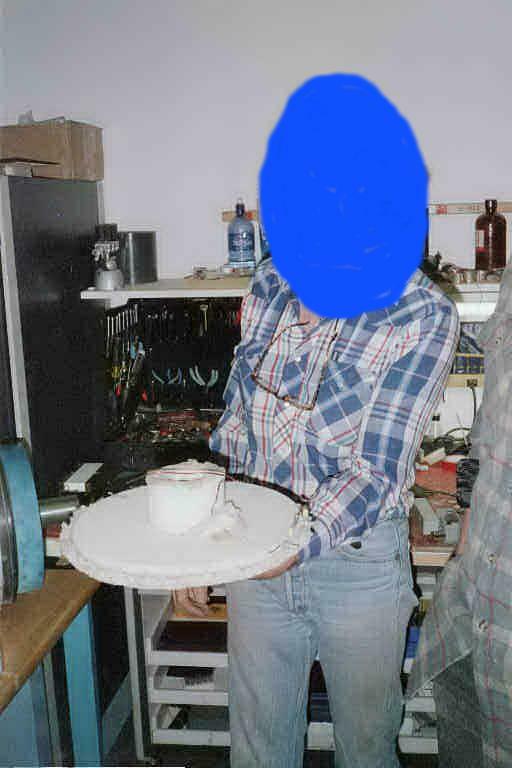 The capacitor was charged up then dumped via the switch into the bottom coil which created a high intensity, short duration magnetic pulse that would throw the magnet into the air and hit the ceiling with force. We didn't get to see a demonstration of this because the 3500 volt DC capacitors haven't arrived yet, but to check out the motors was definitely interesting as they and this demo coil are a piece of history. Additional information that was provided courtesy of our main contact prior to release of this document is that the 6 cylinder linear piston motor sounds like a pop corn popper when it is running slow. The design is just like the lawn mower engine design you have posted on the web page. A coil in the top of the cylinder head and a coil on the moving piston. Both get an opposite pulse of high voltage from the capacitor bank. All these motors use an odd number of coils, rotor and stator. The big motor, as shown in the patent, has a three pole rotor and a nine pole stator. The firing of the rotor/stator coils occur every 40 degrees of rotation of the rotor shaft. 9 X 40 degrees = 360 degrees rotation. Since this is a repulsion situation the rotor/stator coils are fired a few degrees out of alignment so as to induce rotation with great torque in the desired direction of rotation. With the capacitor banks arranged in threes, two are in charging mode while one is firing. The spark gaps select the correct stator and rotor pairs to be fired. On the commutator end of the motor you probably remember seeing the timing marks in degrees and a lever that changed the timing and also allowed motor reversal. Our contact writes that his biggest interest is in the changes that were made between the teflon prototype and the production version. The production version has only three high voltage leads going into the commutation unit with one ground return lead. The other real heavy gauge leads are the back EMF leads used to recharge the batteries. So, looks like its time for the EV Gray mystery to be cleared up and hopefully put into practical use. Our contact said the 6 cylinder motor in the car isn't running, but its location is known. 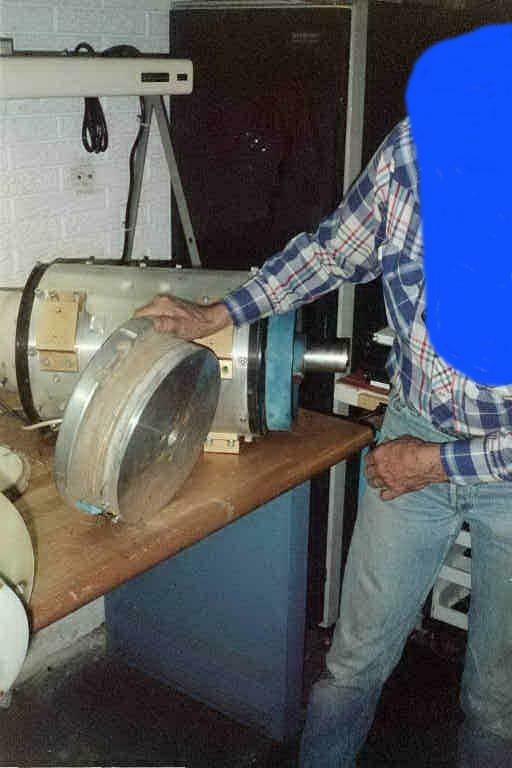 The plan is to carefully disassemble both motors, the original teflon and one of the 5 production prototypes and compare it to the patent, the blueprints and all the notes that our contacts have accumulated, many directly from Ed Gray. They want to map it all in detail, then clean it all up and repair what is necessary, then run it and get some measurements - this is just the coolest thing - as I've heard for years that the only machine that really had any chance of real overunity was the EV Gray motor but had never seen or heard of anything tangible about Ed Gray until we were kindly given the opportunity to see these machines. It is always highly useful be provided with the initial observation that led to the discovery and scaling up of the phenoemena in question. This is the essence of the 'Proof of Principle' document. To build a small high voltage coil with a repulsing magnet as the proof of principle is a great thing to pass on for those who might want to investigate this on their own. or 760 kilowatts, nearly a million watts! A house with everything in it running pulls a combined load of about 10,000 to 15,000 watts so that single motor would produce enough energy to run 50 homes at 15,000 watts being drawn continuously, minus of course the energy needed to recharge the batteries that run the motor. Fantasy? It certainly is an incredible claim since there hasn't even been a device that could produce a sustained 1 WATT of overunity that has been shared publicly so that all can experiment with it. However, this just might be the one, we shall see. 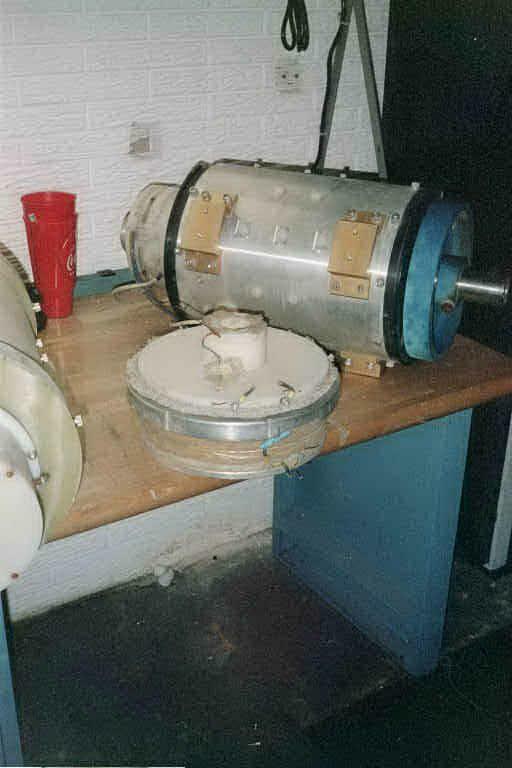 As you can see in the photos the motors are both cylinders about 1.5 feet in diameter and 3-4 feet long, with a pulley on one end. So when they get the capacitors, they'll be in a position to test them after cleanup and any needed repairs. Now, let's be perfectly clear, our hosts are claiming nothing at this time since the motors have only recently been found and so have suffered the ravages of outside storage, however, the hopes are they can be made to run again, in a situation where money and suppressive shenanigans are not the sole driving forces. One of the people involved has IMPECCABLE credentials and trust from several years of contact with many of us, so this is certainly going to be an interesting next few months. Once tests have been done, hopefully we will remain in the loop or they will make their own website which we can link to so that the tests can be shared with everyone. Our gracious hosts told us the 3500 volt DC capacitors are connected 3 to a bank which are sequentially charged and discharged. The motor has 3 arms on the aluminum machined rotor and there is some kind of 40 degrees spacing to allow coverage of a full 360 degree rotation. I'm not clear on that at this point but the patent is supposed to explain it better. This file will be updated as more information arrives and soon we hope to be able to give full public credit to the folks involved in bringing about and sharing this wonderful re-discovery. New book & video about EVGRAY power tubes!